Democrat U.S. Senator Bob Menendez of New Jersey has been formally indicted on 14 counts of public corruption charges by a federal grand jury. According to American Commitment, "Menwndez has been responsible for a lot of sketchy behavior involving his eye doctor friend Salomon Melgen, including a $500,000,000 contract putting Dr. Melgen in charge of port security for the Dominican Republic." According to ABC News, Sen. Menendez said he's "outraged" by federal corruption charges he's facing stemming from his interactions with a Florida eye doctor. "For nearly three years, I’ve lived under a Justice Department cloud, and today, I’m outraged that this cloud has not been lifted," Menendez said at a news conference in Newark, New Jersey, Wednesday night. "I am confident at the end of the day I will be vindicated." On Tuesday, President Obama without approval of Congress gave a written pledge to the UN. The New York Times reported, "Mr. Obama said the United States would cut its emissions by 26 to 28 percent by 2025. . . . freezing construction of new coal-fired power plants, increasing the fuel economy of vehicles and plugging methane leaks from oil and gas production. . . . At the heart of the plan are ambitious but politically contentious Environmental Protection Agency regulations meant to drastically cut planet-warming carbon dioxide emissions from the nation’s cars and coal-fired power plants. The plan also relies on a speedy timetable, which assumes that Mr. Obama’s administration will issue and begin enacting all such regulations before he leaves office. 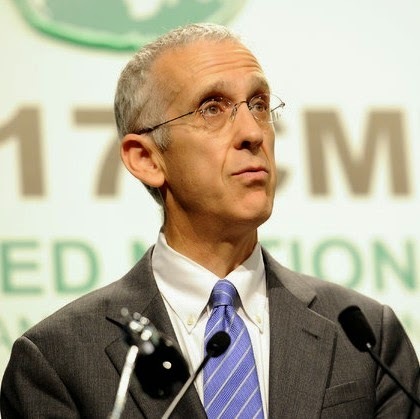 "We can achieve this goal using laws that are already on the books, and it will be in place by the time the president leaves office,” said Brian C. Deese, Mr. Obama’s senior adviser on climate change." The AP wrote yesterday, “The United States put forth its contribution Tuesday to a global climate treaty, relying entirely on a set of emission cuts ordered by President Barack Obama that may not survive beyond the end of his presidency. . . .
“In its written pledge, known to climate negotiators as an Intended Nationally Determined Contribution, the U.S. did not offer an exact formula for how it would achieve the remaining reductions. Yet it pointed to an array of steps Obama has taken or is taking to curb emissions. Obama has ordered higher fuel efficiency standards for cars and trucks, methane limits for energy production, cuts in federal government emissions and unprecedented pollution rules for new and existing power plants. “Many of those steps have drawn the ire of some Democrats and almost all Republicans — not to mention the energy industry. Senate Majority Leader Mitch McConnell, R-Ky., has been urging U.S. states not to comply with Obama’s power plant rules, and argued that the U.S. could never meet Obama’s target even if those rules do survive. Reuters elaborated on the objections to the administration’s regulations: “The Obama administration's plan for U.N. climate change talks encountered swift opposition after its release Tuesday, with Republican leaders warning other countries to ‘proceed with caution’ in negotiations with Washington because any deal could be later undone. . . . Republican critics say the administration lacks the political and legal backing to commit the United States to an international agreement. . . .
“[E]lements of the administration's climate policy already face legal challenges. On April 16, a federal appeals court in Washington, D.C. will hear arguments from 13 states opposed to as-yet-unfinalized regulations from the Environmental Protection Agency (EPA) that target emissions in existing power plants. . . .
“Some observers said that resistance to the administration's climate policies leaves foreign governments questioning whether Obama's commitments can last. ‘By strenuously invoking EPA regulations, the Administration is trying to convince skeptical international audiences that the U.S. can actually deliver on its new climate goals, despite Republican resistance,’ said Paul Bledsoe, a former Clinton White House official who is now with the German Marshall Fund of the United States. ‘But major capitals are likely to remain nervous.’ . . . Tags: U.S. 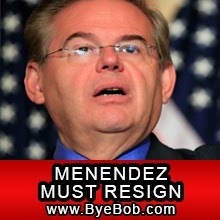 Senator, Bob Menendez, New Jersey, formally indicted, 14 counts, public corruption charges. President Obama, Climate change agreement, without Congress, freezing construction, new coal-fired power plants, increasing the fuel economy of vehicles, plugging methane leaks, oil and gas production To share or post to your site, click on "Post Link". Please mention / link to the ARRA News Service. and "Like" Facebook Page - Thanks! The Obama administration going after Senator Menendez since he criticized them. "Telling It Like It Is" . And he is a Democrat. ..Hopefully the "tide is turning" against Obama by his own party.